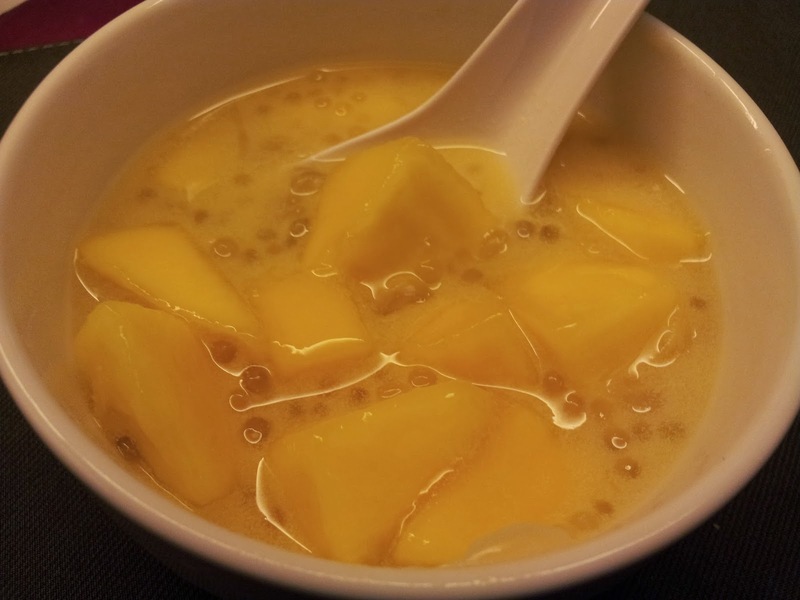 Mango Sago with Pomelo, better known as 杨枝甘露, a very popular dessert in Singapore. Somehow, this also happens to be the one dessert that I make year after year (after each Lunar New Year). 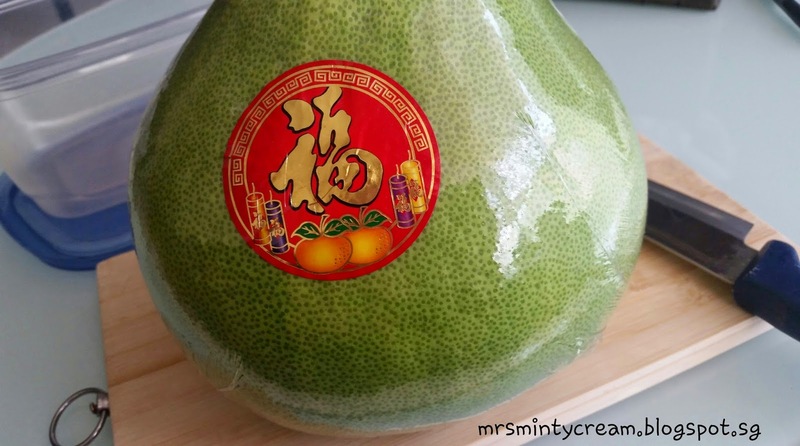 Maybe it is because of my hubby's love for mangoes, or maybe it is just due to the abundance of pomelo I have at home after each Lunar New Year. 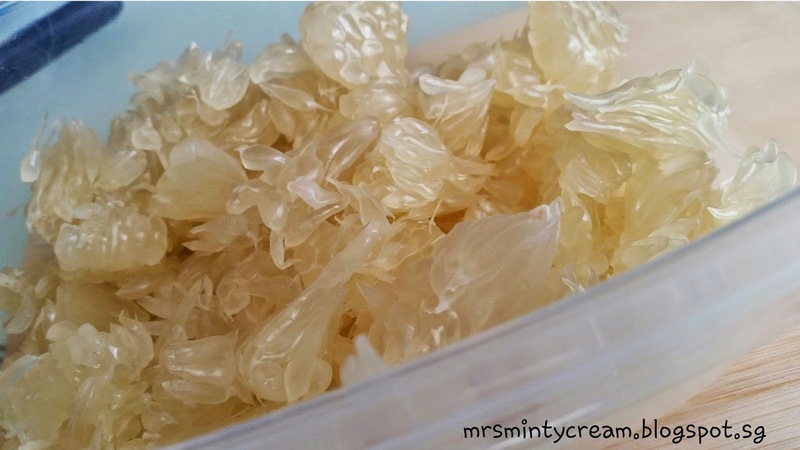 Whatever it may be, there is no reason not to indulge in this sweet yet tangy dessert, especially in the hot and humid weather these days. 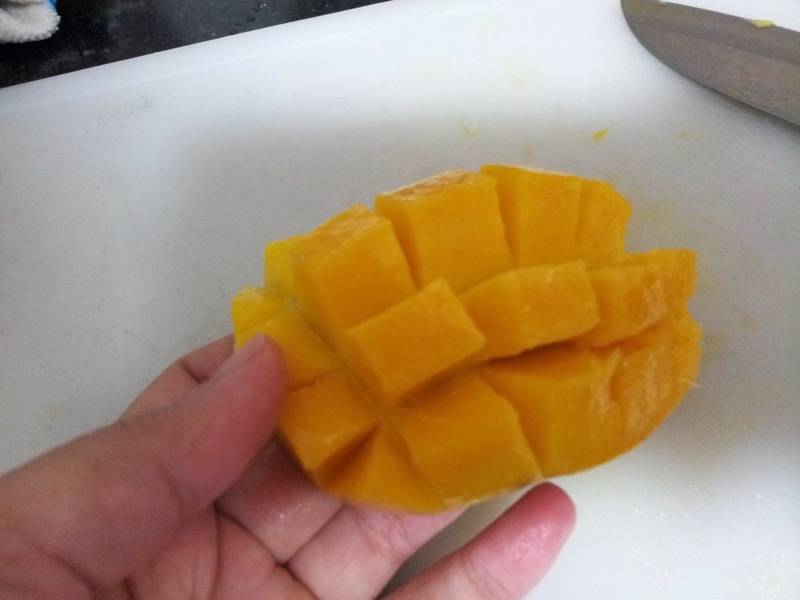 The only problem I have with this dessert item is having to seek for really ripe and sweet mangoes. 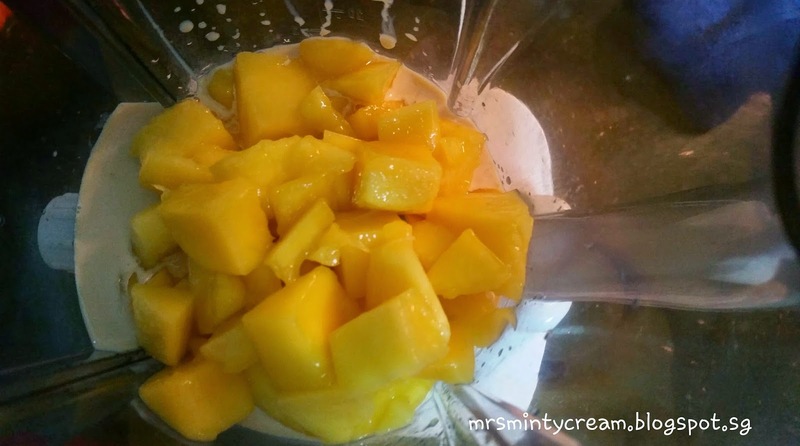 Last year when I was making this dessert, I did not manage to find the type of mangoes I was looking for and had to settle for whatever I could find at the local supermarket. I ended up with these mangoes which were SO sour that it kind of spoilt the whole dessert for me. This time round, I managed to find these honey mangoes from Thailand instead. 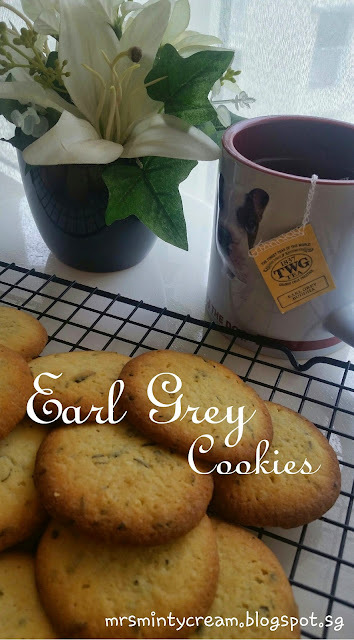 Although they were still slightly sour, but overall, they were much better. Furthermore, with the generous helpings of pomelo and creamy sago in the dessert, it was just heavenly! 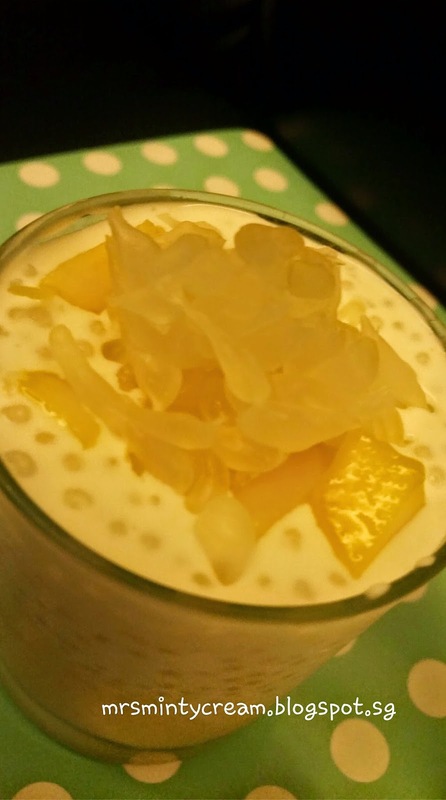 On the recipe for this dessert item, you would probably realised that for most of the recipes circulating on the internet, it is most common to have a mixture of the sago pearls, pomelo, evaporated milk/cream within the mango puree itself. However, I like mine slightly different. I separated the mango puree from the creamy sago (totally fattening I know, but yummy!) 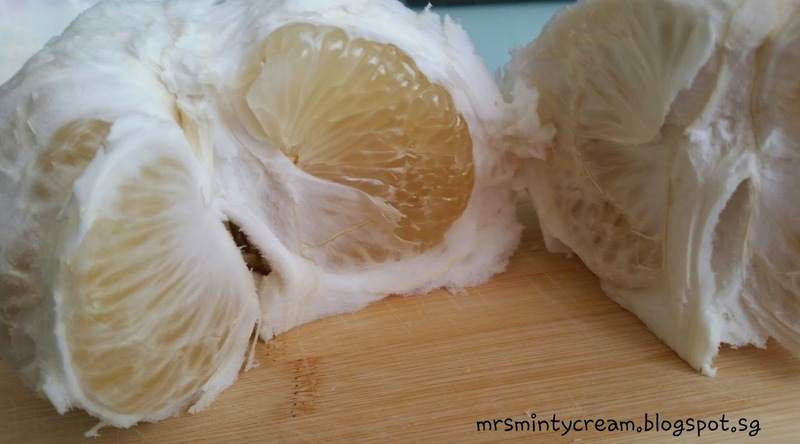 before I top up the dessert with a generous helping of mayo cubes and pomelo. 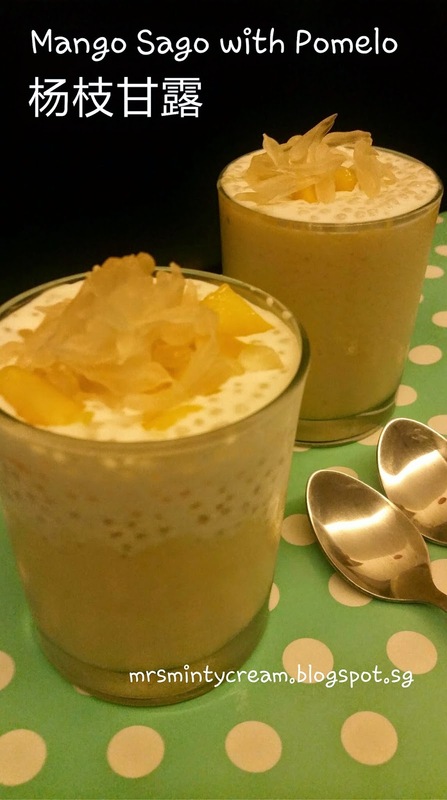 Not only does that looks prettier, the creamy sago provides a smooth and rich texture to the dessert that I totally love! 1. 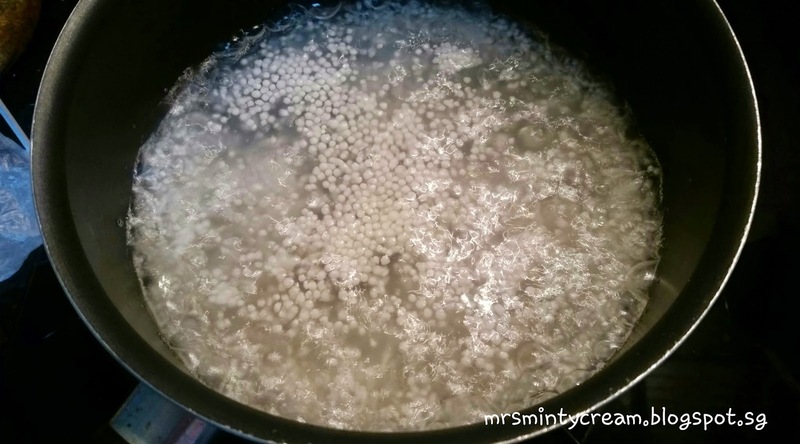 In a saucepan of boiling water, add the sago pearls. Let it boil for 10 minutes before lowering the heat and continue to simmer until the it turns totally transparent. 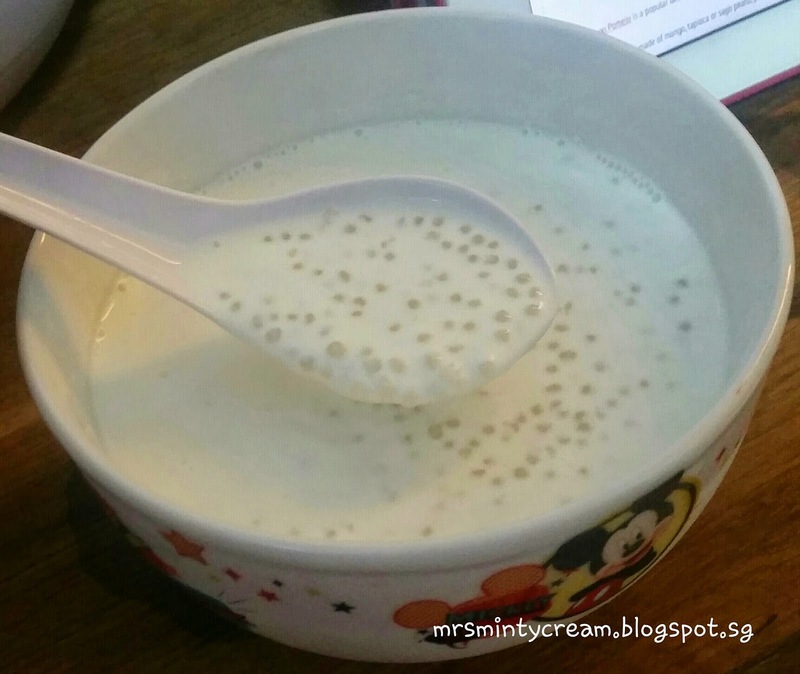 Strain the sago pearls through a sieve and run it under cold running water. Drain and set aside. 2. 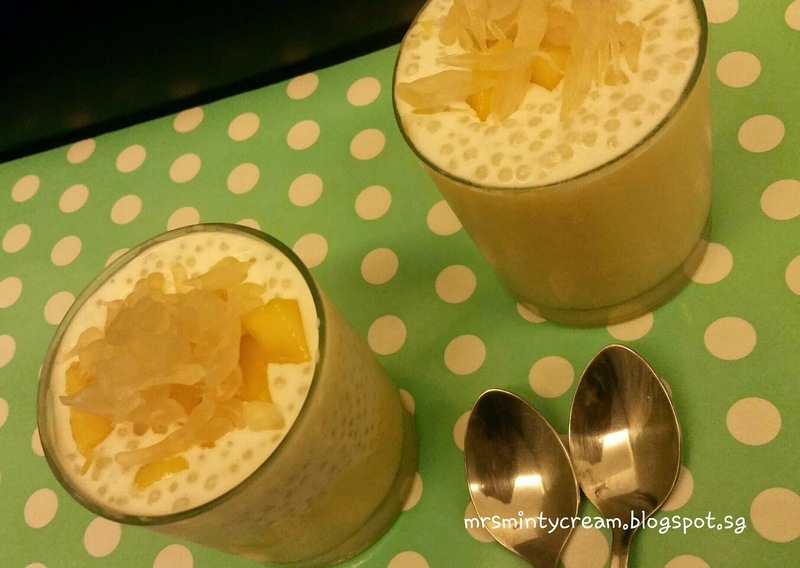 Mix the ready sago pearls with coconut cream and dairy cream. Keep it chilled in the fridge for later use. 3. To prepare the mango puree mixture, blend the mango cubes with mango juice and evaporated milk with a blender on high speed. Make sure all the ingredients well incorporated in the mixture. When mixture is ready, set aside in the fridge for later use. 4. 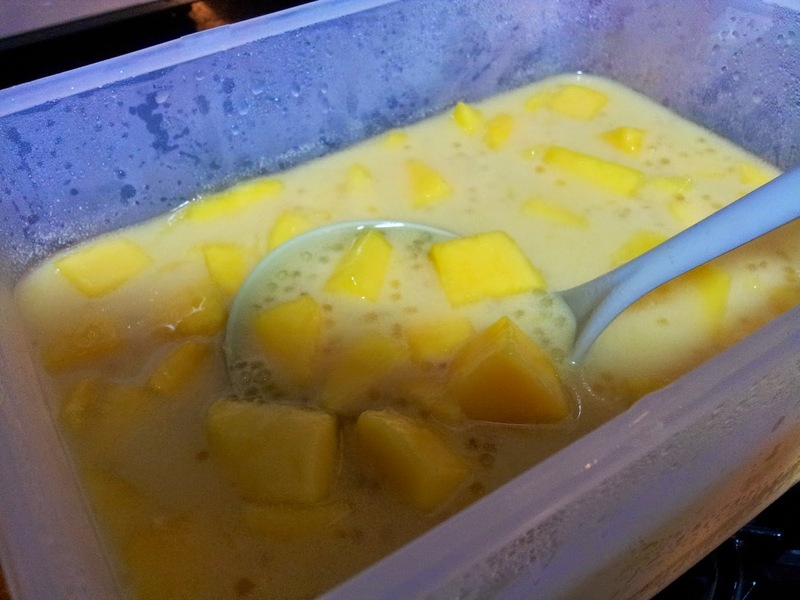 When ready to serve, layer the mango puree mixture at the bottom, followed by the creamy sago and lastly, top the dessert with some mango cubes and pomelo sacs according to your personal preference. 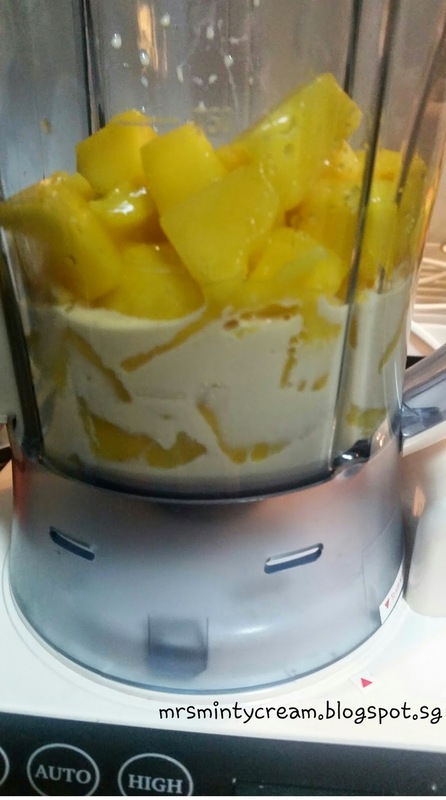 Note: Alternatively, you may also omit the use of creamy sago, and simply add the sago pearls to the mango puree mixture, mix everything thoroughly before serving.